Back in 1987 when Fiji had its first military coup the then government wanted to deploy troops to Fiji, however as it panned out, the need was not needed anymore. However it was advised that New Zealand could not deploy and self-sustain the deployment, we could deploy the NZSAS and secure what region however we had no backup for the troops on the ground and could not deploy our main force and keep the supply routes to them open. The Royal New Zealand Navy did not have anything that we could use to deploy a small task force. The Royal New New Zealand Air Force could not effectively do this alone, and would have struggled with keeping the C-130's in the air and at the time of need the Air Force only had one C-130 flying, the other four were in maintenance one in a schedule deep maintenance and the others in minor maintenance waiting on parts and the like. The Andovers simply didn't have the range. This failure lead to trials and errors of the NZG and the MoD to come up with ways to, self deploy a small task force and maintain this deployment. That lead to the disaster of HMNZS Charles Upham debacle which in turn has lead to the “Project Protector” and HMNZS Canterbury who has had a rough start but is starting to show her worth, whilst I believe we now need a to get a proper LPD/LHD. This will be explained why later. So with HMNZS Canterbury we now have a limited strategic sea lift and Canterbury can take any of the equipment our armed forces operate and any of the new equipment planned as well as future, but she is limited. While Canterbury can deploy by sea that is slow. This has it advantages for some things but not for a rapid response force or humanitarian aid and disaster relief. That is where air lift is required and I mean strategic air lift. To project and deploy any equipment the NZDF owns and operates any where in the world with out the help of our allies. Over the last 30 years the NZDF over all has had its ups and downs from low moral and bad NZG/MoD decisions and the cruncher of major cut backs. Equipment is getting old and unreliable. We are getting less and less and smaller and smaller for a defence force. From 4 frigates to 2, Losing our combat wing, to not replacing the Tactical air lift of the time, to bad choices and money driven decisions. But on the positive side, some great new kit for the NZDFin general. The RNZAF got the NH-90 medium utility helicopter and A109 light utility helicopter. The P3 were upgraded, and the C-130 got a life extension, The acquisition of 2 modified B757. The Army replaced the old M113 with the NZLAV, they also have the LOV's and the new MHOV Trucks including REBS and the javelin missile. The H&K 40mm Grenade Machine Gun plus some new individual weapon. The MoD is also looking at replacing the aging Steyr Rifle. The RNZN eventually got Project Protector, the ANZAC frigates are being upgraded with new sensors and Sea Ceptor, and they bought the failed Australian Sea Sprites and AGM-119 Penguin Missile. This is the first time that the RNZN has had dedicated Anti Ship Missile. Even though they are only fired from the Sea Sprite. It is a great leap forward. There are Pro's and Cons to acquiring The Boeing C-17. But before we go in to this lets look at why the government is even considering these aircraft. The Royal New Zealand Air Force, has over the years had its ups and downs from loosing the A4's Combat Wing to fully getting replacements for the old Sioux helicopter and the UH-1 Iroquois with the A-109 and the NH-90. The P3's got upgraded, and the acquisition of 2 B757's that were upgraded with cargo doors and new power plants etc. To loosing the Andovers to struggling with deploying the NZA. The C-130's have finally had yet another life extension making some of the oldest operational C-130's in the world... to take through to around 2020-25... and by then they will sixty years old yes 60. So I mean come on, they need replacing this is not acceptable. Let the old girls go for petes sake. The NZG and Mod did not properly replace the “Hawker Siddeley HS 780 Andovers” which were light tactical air lift and were at the time perfect for this. For tactical air lift around New Zealand, however their short range meant that was their main role. But the Royal New Zealand Air Force operated ten aircraft from 1976, acquired from the RAF while still relatively new. These aircraft saw service with UN missions to Somalia and on the Iran-Iraq border, and in disaster-relief work in the Pacific. The Andovers were retired from service in 1998. The main difficulty with their service in New Zealand was their limited range – 1,000 nautical miles (1,900 km) of Pacific Ocean separate New Zealand from its nearest neighbours. New Zealand's Andovers were purchased to replace the Bristol Freighter which had even shorter range. Adding to this as our equipment has changed and has been upgraded, even the C-130's can not carry all of the our own equipment. The Army has a mobile hospital that can not be deployed because we have nothing that can carry it. This hospital would be perfect for humanitarian aid if it could be deployed. The NZLAV III's can not fit in any of the models of the C-130's (including the J's and J-30) unless it is fully stripped and the then it would struggle to get to Aussie due to the weight and range. This is not acceptable and then the LAV's need to come off its transport and be able to instantly be used in the field as called on, not wait to re-assemble them. The NH-90 can not be deployed by air unless it tries to self deploy which is risky operation in the south pacific for a helo and has not been prooven it can be sucessfully done, at present they are only deployed by HMNZS Canterbury. These aircraft would be great in humanitarian aid and disaster-relief. Now I hear many saying we don't deploy our LAV's or NH-90's etc... not true in 2008-09 5 LAV's were sent to assist our troops in Afghanistan, and whether right or wrong, we are now sending troops to Iraq and there could be the possibility for the need of the LAV. At present we have to rely on our allies to deploy these and return them or use commercial means which is even more expensive than doing it on our own. Again not acceptable, we need to be able to self deploy. If there is another disaster in the pacific it would great if we can deploy the NH-90 to assist in the relief efforts and at present they would have to wait on Canterbury, or try the risky self deploy tactic which has not been proven yet. It is risky for a helo to travel the vast distance across the open ocean weather patterns can change on a dime and unlike an aircraft they can not fly above the storm. Recently with cyclone "Pam" 3 or 4 flight loads of C-130 from the RNZAF could have been done in one flight. and we could have deployed the NH-90 or hospital. The USAF uses the C-17 to fly to the antarctic, it gives them more loiter time than the C-130 to decide to land on the ice or return to the mainland... (if running low on fuel) as experienced recent times landing on fumes is fun. Finally having strategic air lift means we can fully help our allies if needed, it means if for what ever reason our ANZAC brothers across the ditch the Aussies need help we can, we would be able carry what they can, I also means rapid deployment to Aussie with fire fighting equipment and trucks to help in their bush fires they have, or if the the needed extra help in defending Australia as part of our defence plan. The C-17 can carry 4 time the load of a Hercules, twice as fast and twice as far... and for disaster aid in the pacific speed and lift capability is needed... we could deploy the NH-90 as well as aid to a disaster stricken area in a couple of flights... at present we would have to wait for HMNZS Canterbury to come home, load up, and re-sail... could take a week... and in "disaster aid" speed is everything... Ah Christchurch. To those that say we haven't deployed our assets before, well, we have never had the capability to deploy them by air before. New Zealand no longer has no strategic air lift capability only a limited tactical air lift. Now I am not saying the C-17 is the only aircraft there is, the Airbus A-400m, which is cheaper off the shelf, and to run, however it is an unproven aircraft, it is stilling ironing out all the bugs and there will be unknown costs due to that. It is not operational or been cleared operational in any air force yet... bugs... they are just starting deliveries to the various countries that built it It also has limitations as well and we will explore those below. Our current C-130 fleet is coming up to 50 years old they need replacing. They are some of the oldest flying C-130 Hercules in operation. What does it tell you when other countries that fly the C-17 are ordering more, it tells you the benefit of having that capability out ways the cost. There is what is known as a "thin air fund" basically its a fund for “crap wish we had the money to buy that because it is a deal and we really need it type of fund.” Not many people realise this. The A-400m is an interesting design however there are a few things we need to worked through. The A-400 is still in early years and has never truly been tested by the riggers of full military operations. The range of the A-400 whilst greater than the C-130 is not as great as the C-17, it is also again faster than the C-130 but a lot slower than the C-17. And finally the pay load is not as good as the C-17 but yes better than the C-130, and this is the big one for me to push for the C-17 as our strategic air lifter and later when we replace the C-130s fully, the A400 will be more a mature aircraft and been tested. Scott Base is located on Ross Island in the Ross Sea region of Antarctica. Ross Island is 3932 km from Christchurch New Zealand the range of the A-400m is 3,298 km. The range of the C-130 is 3,800km but with the upgrades the RNZAF C-130s have extra tanks and range to approx 4100km, depending on cargo etc. The New Zealand Defence Force are now (rightly or wrongly) more operationally active in the world, I stress New Zealand no longer has any strategic air lift since we replaced the M113, and the UH-1 the C-130 Hercules can now only give us tactical air lift and we need to be self sufficient and be able self deploy any of our equipment and anywhere and at present we can not do this by air. The C-17 would give this ability. It is ready now off the shelf and not under development. My recommendation is a total of 6 or 7 air frames, 3 C-17's for full strategic and limited tactical lift and 3 or 4 A-400m's for full tactical and limited strategic lift. Apparently A400M partner nations were not pleased with what Airbus is doing to resolve outstanding issues. Maybe with Boeing's C-17 production end, Airbus doesn't feel the heat as much. I am sure NZ is weighing this event in their decision process on a new transport. The difference between strategic and tactical air lift. There are a variety of factors to take into consideration. These include size of payload compared to available equipment that needs to be air lifted, the range the aircraft can fly with this full pay load, the landing and take off distance required, paved or just a unprepared air strip. To have any form of strategic air lift you must be able to carry or effectively self deploy your own armed forces and equipment. In our case deploying the NH-90 or LAV for example to Iraq. Strategic aircraft don't necessarily have to be able to land on short run ways or un-prepared runways etc. When we had the M113, and the Scorpion tanks the UH-1 they could fit into the C130 and be deployed.. giving strategic lift, but since they have replaced with the LAV, NH-90 this effectively removed our strategic air lift capability. Adding to this we can not deploy the mobile hospital, and would struggle with some of the newer heavy truck replacements. Tactical air lift on the other have usually design around internal flights of the given theater whether deployed or internal flights of home region. For our case this would include the wider pacific region. The air craft doesn't have to be able to take every single piece of military equipment the army has but be able handle a decent chunk of it. They are usually smaller and can land and take off from shorter runways, have the ability be an agile aircraft. There is a fine line, because it depends what equipment that you have to carry, and where is it going, is it going to be shot at, is it required to land on and take off from a very shot runway. • C-17 - A strategic air lift aircraft that has limited tactical use built by Boeing. 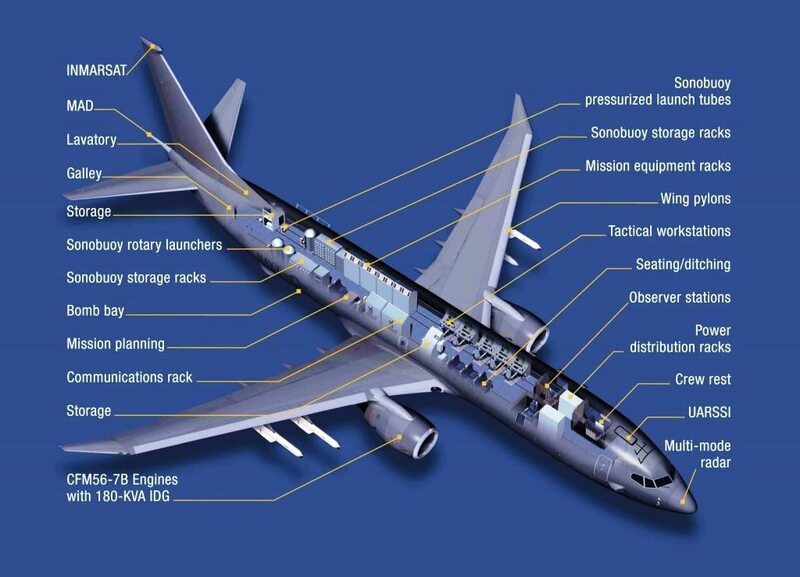 This is an off the shelf aircraft that would fully meet our strategic requirements for the forseable future. • A-400m – Limited strategic and full tactical air lift aircraft built by AirBus. This aircraft is still being developed and has had problems from the get go. However once matured it would meet our tatical requirements and help with limited strategic flights. NH-90 Cyclon Pam. Why didn't the NH-90 be deployed for cyclon Pam on bard HMNZS Canterbury? The main reason I hear (from my sorces) is that the RNZAF NH-90's are not fully in service as of yet, which means they are not 100% operational... they have a Crawl, Walk, Run policy which means thay have not been fully cleared to fly other than in New Zealand, have not been fully cleared for deployment, and or operate off HMNZS Canterbury. This is the joys of having an untested aircraft. Do we want that with the A-400m if we get them to soon. So the media BS about the corrision and such is whilst is party true it is utter BS that that is the main reason and concern. • x5 C-130 Hercules Tactical Air Lift. • x9 NH-90 – Medium Utility, S&R. • x8 A109 – Light Utility. • x8 SH-2(I) Super SeaSprite – Naval. • x5 SH-2(F) Super SeaSprite – Training. • x4 Beech King Air B200 - Training light lift. VIP. • x11 T6 Texan II – Trainers. • x5 A109 – Marinised for LHD. Não é propriamente da sua Força Aérea mas é relacionada com o pais. The Singaporean government has reportedly earmarked the Royal New Zealand Air Force Base at Ohakea, on New Zealand’s North Island, as a potential overseas base for one of its F-15 squadrons. O alcance desta noticia é um pouco mais vasto..........se me permites, será o isco para qua RNZAF volte a ter interceptores a curto prazo e se calhar...............os F15 ou parecidos estarão num futuro muito próximo a fazer parte do inventário Da RNZAF, exactamente como cá com a frota de Helis, COMPARATIVAMENTE, vamos ter um numero total de helis bem inferior ao das FFAA da Nova Zelândia, basta fazer as contas ! Provavelmente terá mais a ver com o facto de Singapura não ter espaço "aéreo" para que os seus pilotos possam fazer o número de horas necessário para se manterem operacionais. Com o que o governo gasta na compra de material militar da ultima geração da Boeing, Lockheed etc, não tem necessidade de andar a fazer fretes a ninguém. E já agora quantos borregos é que acham que o ministro da defesa da Nova Zelândia comeu para ter aquela figura? Uma visita guiada ao Aeroporto com direito a ver os "nossos " falcões, Aves anti pombos e afins, contra um almoço a minha escolha em como num futuro próximo, a RNZAF, volta a ter interceptores no seu inventário !!!!! A capital mais próxima de Wellington é Camberra que fica a mais de 2000km. A única maneira de alguém manter superioridade aérea sobre a Nova Zelândia seria com um Porta-Aviões. O GDP é +/- dois terços do português e o orçamento da defesa é metade do nosso. É certo que eles o utilizam mais eficientemente mas a não ser que os chineses se tornem uma irritação maior não existem razões práticas para mudarem de estratégia. Só se estivermos a falar de motivos de "prestigio" leia-se algum ramo das forças armadas com sonhos dos velhos tempos a fazer força para voltar a ter caças e justificar uma maior fatia do orçamento, mas isso são razões psicológicas ou burocráticas que são impossíveis de prever. Eu se vivesse por lá até gostaria de ter meia dúzia de KAI T-50 e uma dezena de pilotos não fosse o diabo tecê-las mas isso deve-se ao facto de ter nascido numa zona com má vizinhança. Não não!!! O perdadetempo é que diz que só com um porta-aviões!!! Há uns anos um dos peregrinos no activo desapareceu de Lisboa e uns meses mais tarde o Falcoeiro encontro-o e sabem onde ?? No Aeroporto de Faro, o bicho fez um voo do caruncho atrás dos(as) pombos(as) !!!!! è um espectáculo vermos os falcões a caçar coelhos na plataforma central. 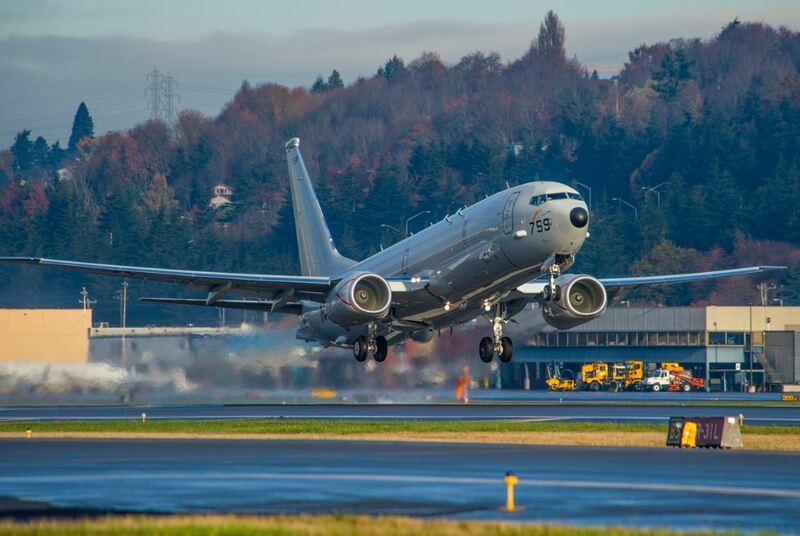 New Zealand is buying four Boeing P-8A Poseidon maritime patrol aircraft from the United States to replace its ageing Orions, the government announced July 9. 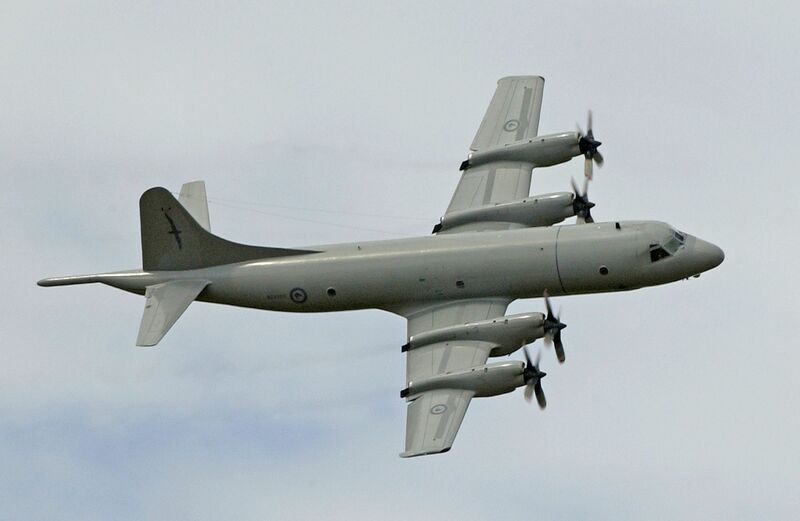 The four aircraft will replace the six P-3K2 Orion maritime patrol aircraft (MPA) that have been operated by the Royal New Zealand Air Force since the 1960s. The current Orion fleet will reach the end of their expected operational life in 2025. The new P-8As, training systems, infrastructure and introduction into service costs will total NZD2.346 billion, according to the government. They will be delivered and begin operations from 2023. “The purchase ensures the defense force can continue to deliver the country’s maritime surveillance, resource protection, humanitarian and disaster response around New Zealand and across the South Pacific,” said New Zealand defense minister Ron Mark. The defense minister said the purchase would allow New Zealand to work more efficiently with current, and future, P-8A operators. New Zealand closest neighbor Australia has so far received six of the 12 planned P-8As and the UK and Norway are already looking at ways to enhance their MPA cooperation in the North Atlantic. “The purchase enables New Zealand to continue to deploy in a wide range of airborne maritime situations independently, and when required, work effectively with partners including Australia, the United Kingdom, and the United States, which all operate, or will operate, the aircraft,” says Ron Mark. Announcing the decision, the government said the P-8A was the most cost-effective maritime patrol aircraft option available. New Zealand will also consider options for a complementary maritime surveillance capability during the forthcoming Defence Capability Plan review, due to be completed by the end of 2018. “The complementary capability will consider smaller manned aircraft, remotely piloted aircraft systems (RPAS) or satellites, for additional maritime surveillance tasks within New Zealand’s Exclusive Economic Zone and near region. This will free up the new P-8A fleet to fly more missions, in the South Pacific and further afield,” said Ron Mark.